The entire rental experience was flawless. Tara was very helpful. The property was very secure and safe. The complex and condo were gorgeous. The condo was impeccably clean. The emails that Brenden sent were clear and easy to follow. Our experience was seamless! Linda was very accommodating and professional. Rosemary is my favorite spot on 30A! Love the area and that the home was dog friendly! I appreciated being able to communicate with the property manager via text. She was very prompt in answering my questions. Very pleased. Well be back! Abbey was absolutely great! She was prompt with responding to texts and questions, kept us informed and made sure everything was set up and ready for us when. 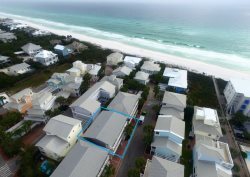 This was our first time staying at a 30A property and it was a great experience! We stayed at 112 Hiker and the house was absolutely beautiful and a great location. Dylan was fantastic. A amazing property and wonderful responsive service when needed. All of our questions and requests were answered or fulfilled immediately. This is the first house we have stayed at that we didnt want to leave after a week. This is hands down the best house we have ever rented. Very friendly and kind. Enjoyed the experience! Wonderful. SO clean and we literally had everything we needed and more. Lots and lots of blankets and pillows. Plenty of room for everyone to relax. Lots of TVs for the kids to spread out. The home is truly fantastic!! It is north of 30A which was new for us but we loved seeing other parts of Rosemary and being so close to the Town Square. Perfect trip! !